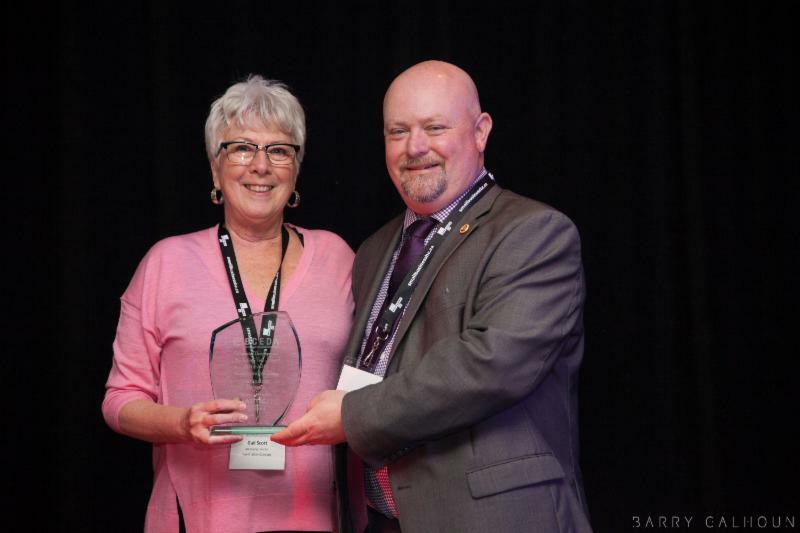 The BC Economic Development Association (BCEDA) announced the winners of the 2015 BC Economic Development Awards at the BC Economic Summit Awards Banquet held Tuesday, April 28, in Richmond, BC. Category: Marketing Tool - Less Than 20,000 Population. Sponsored by ASTTBC. This award recognizes innovative and effective marketing tools used for attracting, retaining and fostering business as well as communication vehicles used by economic development organizations. Destination Osoyoos - Throughout 2012 and 2013 we started by interviewing individuals and couples that wintered across the border in warmer states. We learned why they did it and what they wanted while wintering. In 2014 we started to put all the marketing tools and resources together for a planned 2014/15 winter season launch. In July 2014 we opened up a Discover Osoyoos Centre in our main lobby to accommodate visitor and relocation enquiries. In September, we created a volunteer Ambassador Team made up of 8 snowbirds to help identify local activities, organizations, services, products, price points, etc. that snowbirds would be interested in and that would meet their socio-economic needs. They have been key in welcoming new snowbirds to the area on behalf of Destination Osoyoos and the Town. In October we started production of an Osoyoos Snowbird Guide / Brochure for wintering in Osoyoos. We sold ads to local accommodators to make the project more cost efficient. The project cost to date has been just short of $30,000. Included in the guide is Osoyoos specific information, why snowbird’s are choosing Osoyoos, climate information, general statistics, location, maps, winter accommodation information and recreational activities. 80,000 guides were printed and all will have been distributed during 2014/15. 42,000 copies of the guide became an insert in the Western Producer newspaper and were racked in AB, SK, MB, and some northern areas of BC. This proved to be the right resource to reach our target market. Immediately our communication channels lit up and did not stop with phone calls, emails, snail mail, and walk in enquires for more information. Between January and March 2015, our accommodators have reported a 35% increase over last year in the number of long term stay Snowbirds to Osoyoos. Accommodators have had to set more rooms aside to accommodate this demand. They have been able to keep more staff on during this winter season thereby providing a more stable level of employment income. Local restaurants and stores have been reporting best winter month revenues ever. There is now a buzz on our down town Main Street that was not there several years ago. Locals are complaining that they can no longer get their usual Main Street parking spot whenever they want. Our resorts have learned to adjust their offerings to meet the price points of this population sector and as a result have been reporting successful sold out events and meals. Local realtors have stated that property sales have started to increase based on a trend analysis that has shown that snowbirds don’t generally buy until their third visit to Osoyoos. However, Destination Osoyoos has testimonial evidence that some snowbirds are purchasing during their first long term stay. Our RV parks are sold out and there is a strong demand for more RV spaces for next year. Our local tourist attractions that have elected to stay open during the winter season have reported significant growth in traffic as a result of this influx of returning and new snowbirds to the area.